A blog about the return to the 'source country' of cultural property removed before the implementation of the 1970 UNESCO Convention, treated separately from the issue of ongoing looting and theft. 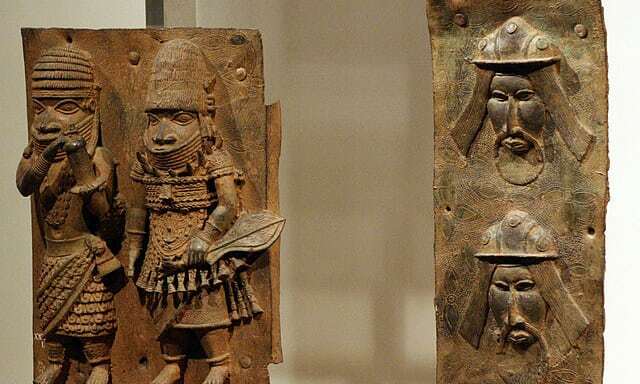 The British Museum will take part in a European summit to discuss the return of art seized from the Benin kingdom, now part of southern Nigeria, by a British punitive expedition in 1897 as “reparations” after it defied the British empire by imposing customs duties. The museums taking part in the Benin dialogue group hope to establish a permanent display in Benin City, Nigeria, using items rotated from a consortium of reputable institutions. The negotiations involve authorities from Nigeria and the neighbouring country of Benin. [...] The fate of hundreds of [...] “Benin bronzes”, housed in institutions such as the British Museum, will be discussed by curators when the group meets next year at the Netherlands’ National Museum of Ethnology in Leiden. [...] European curators and their west African counterparts are also keen to establish a legal framework that would guarantee the artefacts immunity from seizure in Nigeria. [...] the largest collection of antiquities from the 19th-century looting of Benin was in the Ethnological Museum of Berlin, while the second largest was in the British Museum.